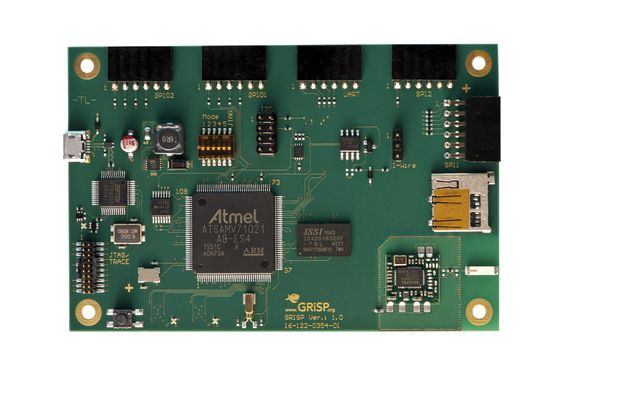 This is a Grbl_ESP32 CNC Development board. 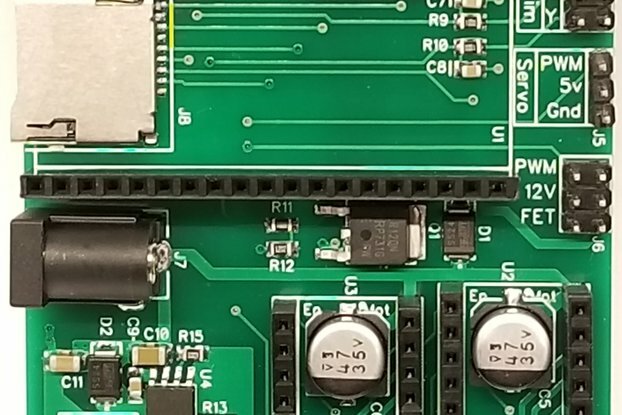 This is a quick and easy way to use and test CNC on the ESP32 controller. Grbl is a great CNC firmware that has been around for nearly a decade. 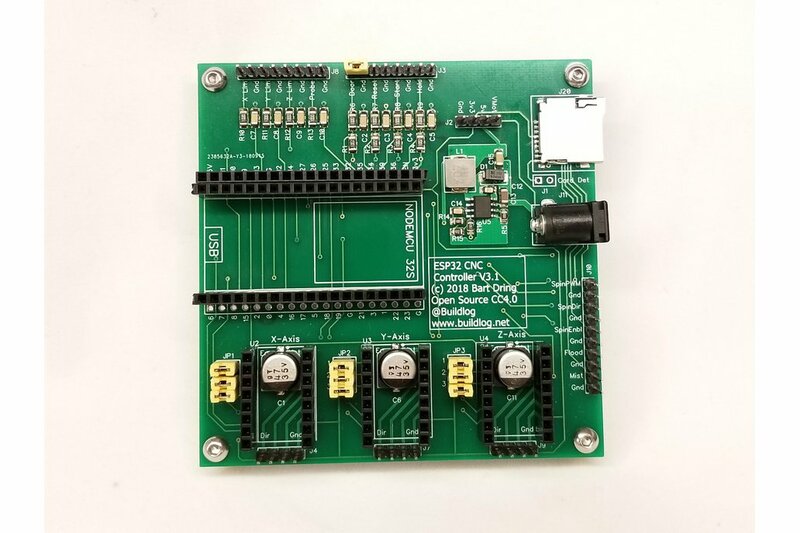 It was originally designed for the Arduino UNO and basic 3 axis CNC routers, but it has been ported to other CPUs and was the basis for many other CNC and 3D printer firmwares. The firmware was written using the Arduino IDE to make it as user friendly as possible. 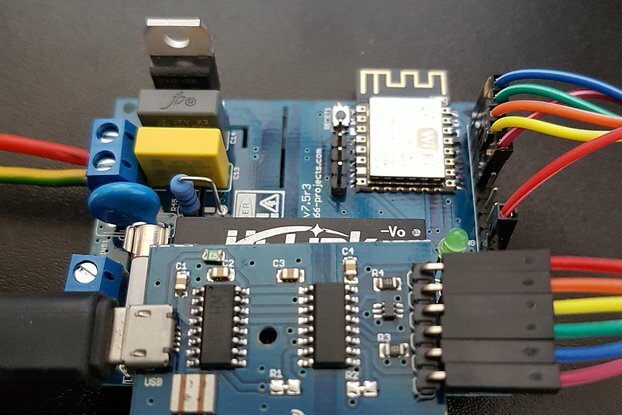 If you have experience with Arduinos, this will not be much different. There are currently two branches of the firmware. master branch - This firmware has the most testing on it and has no known issues. The primary features of this branch are serial port control, Bluetooth control and running files from an SD card. WebUI branch - This firmware adds Wifi, web browser based control, OTA (over the air) firmware upload as well as all the options in the master branch. Watch this video for more details. Memory - Currently, due to memory restrictions, you can't run all features at the same time. Bluetooth and OTA (over the air) updates both require a lot of flash memory, so you can't have both. If you want Bluetooth, you will have to upload firmware using the traditional USB method. We hope this memory issue is only temporary as we test alternate partitions of the memory. 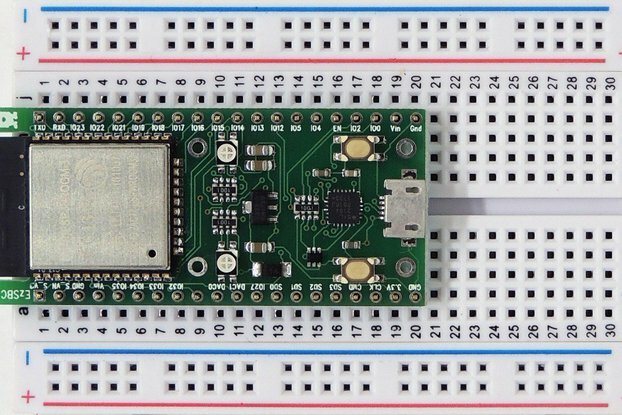 I/O - The ESP32 is very flexible allowing you to remap the the I/O features to alternate pins. Grbl_ESP32 is also far more flexible than Arduino Grbl for assigning pins to features. But, when you make a PCB, you force specific pins to specific features. To give some flexibility there are some shared pins. The SD Card shares pins with Mist coolant, Spindle Direction and Spindle Enable. These pins were chosen because they are very rarely used in DIY CNC. Full control of a variable speed spindle is still on a dedicated pin. If you really need the SD Card and some of those features, contact me. There are many alternative ways to do that. See this wiki page for additional info on I/O. ESP32 brings the following features to small scale CNC. Powerful dual core processor running at 240MHz per core. The board has the following features. A very modular design - If any of the major circuits get damaged, you can plug in a new one. Socket for an ESP32 Dev board also known as NodeMCU 32S. Most 19 pin per side dev boards should work, just check the pins or ask me. Extra connector holes are positioned next to the NodeMCU 32S for test probing and to accommodate wider 19 pin modules. An extra, unsoldered, 19 position connector is provided. A micro SD Socket - Previous to version 3: A socket for a micro SD card module. Note: Grbl senders do not support SD cards yet, but most have a manual console where the command is easily typed. The WebUI fully supports the SD Card. 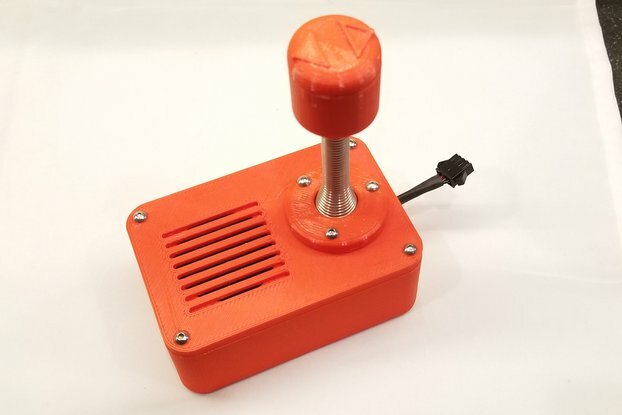 I ported Grbl_ESP32 and made this CNC controller to simplify and lower to cost of small-scale CNC. I chose to use the Arduino IDE to develop the firmware, so a beginner can configure and compile this firmware. Grbl_ESP32 will eventually allow the first sub $10 CNC controllers with native Wifi and Bluetooth. I am the lead developer of Grbl_ESP32. All purchases will help me fund future development of this exciting project. What do you get with your order. A full assembled and tested base PCB. New with Version 3.1, there is a built in SD card socket and a built in power supply (no longer modules). This is a great board - being able to use Bluetooth/Telnet instead of having to have a PC tethered to an Arduino is fantastic. I made some changes to the GRBL_ESP32 code in order to support XY wall plotters that deal in Polar co-ordinates and everything is working perfectly. Grab one yourself, you won't be disappointed. Well made and good looking board; exactly as described. Arrived fast and well packed. Software is still evolving, plenty usable right now, with more to come of course. Only thing I miss is 'Go To Zero' buttons for the axes; but these are normally done via macros so it's not an issue. Connectivity via the serial/USB works as normal for GRBL, and I even telnetted to it successfully. I have not tried the bluetooth features; I left them disabled in source since it's not in my roadmap. Fantastic quality board and soldering. It includes all the headers for any future 3 axis CNC routing application, including door switch, start and hold, probe, and both flood and mist cooling in the same setup. The future support for uSD cards on a grbl board is awesome, no more tether needed, and the development pace on adding features such as control over WiFi and Bluetooth is pretty incredible. Support for 24v steppers is appreciated, and so is the included barrel jack for power. The buck converter was included with the board though it isn't listed as an included item, an appreciated addition. Even if this was a finished product with no more software updates, it is a awesome deal for such a good quality grbl board. I would absolutely recommend this to anyone in the market for a desktop CNC controller. An excellent board , that's now being used full time. An excellent board for prototyping , that has made it as a permanent resident for my DIY CNC Router. I bought this board as I was keen to tryout an alternative hardware platform to the mega, as I felt I was reaching the "speed limit" of the Mega2560. The patch leads were shortened and It is now resident at the heart of my CNC router. The board has been well thought out , it contains additional pads, which I ended up using as my ESP32 board was 0.1" wider than the vendor's. Its nice that all of the pins have an associated ground with them , making it easier to connect up. I've also asked for a power supply for each of the limit switch pins, as I use opto switches for these, though it was quite easy to add. 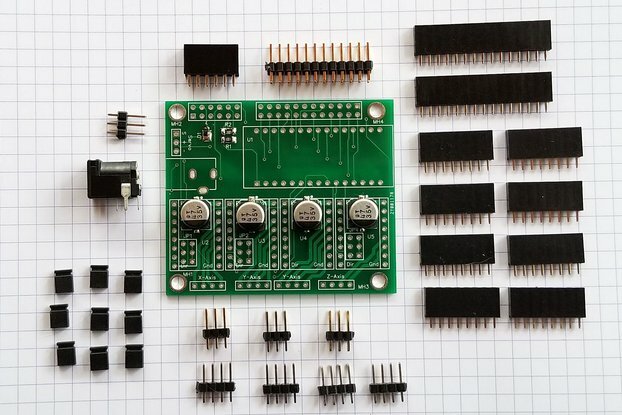 I'm also using off board stepper drivers , but these were quite easy to connect to with a few pin headers. Many thanks for an excellent product and great support. This board works perfect and is great for testing out the features of GRBL_ESP32. It is a good jumping off point to learn from before I design and make a custom PCB for my laser cutter. My custom board will certainly be influenced by what I learn from this one. Thanks for all the work you've done, Bart, and I'm glad I was able to support this awesome project! God luck with your design. We have a Slack channel where we collaborate on designs. Let me know if you want an invite. The expectation was that there would be built in wifi support. It might be there with alternate software but there appears to be no example of using it. The SD card use requires the sacrifice of CNC features. It looks WiFi feature rich but offers little over the dirt cheap Arduino UNO approach. Douglas, I am sorry you are disappointed. This is the first I am hearing about that. - The state of the SD features were explained in the description of this product. With that said, SD features are now fully functional and in the master branch of the code. As stated in the product description, you do need to sacrifice some features to use it, but those are very seldomly used features on DIY CNC of spindle reverse and spindle enable. I am happy to refund your purchase if you like. Really well designed board, works flawlessly. This board is exactly what I have been looking for. 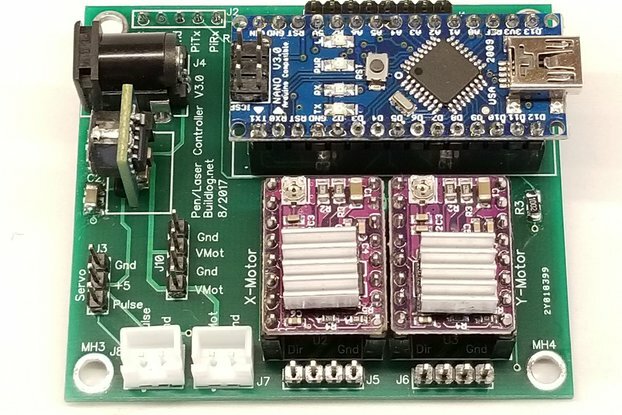 grbl on the esp32 is the ultimate low-cost cnc controller. I hope to get it working with the wrover module to take advantage of 4MB psram.